I have a bad habit of waiting last minute to finish tasks. I feel like the pressure of knowing I have a deadline makes me push to get it done faster but knowing I have time makes me slower to get it done. Who’s with me? God has called us to accomplish extraordinary works on this Earth but…..we think we have time. We get so comfortable staying in routine that to break from our “usual” seems like a scary thought. You know I was listening to a sermon the other day and the pastor said “What if Jesus came back today would you be ready?”. When I meditated on that question, being ready didn’t mean “If I’ll make it into heaven which I pray I do but will I have accomplished all that God created me to accomplish. I love to write. I had the idea of a blog for about 2 years and never sat down to create it or bring my vision to reality. What stopped me? Nothing. Ok maybe fear but for the most part I focused on my 9-5. There is a very popular scripture “My God shall supply all of my needs according to His riches in glory” (Philippians 4:19). We love to recite scripture and quote it when it seems applicable to us but do we really believe it. If God asked you to leave your job today and trust Him, would you? I mean because if God really supplies all of your needs, He will continue to supply it without a job. Right? I recently saw the Disney movie “Moana”. Ugh! What an emotionally great movie! Moana knew there was so much more to life than living on her island. She would stand on the “edge” of the ocean and stare out into the ocean because she knew there was more “beyond the reef”. How many of us are standing right on the “edge” staring at our opportunity? When Moana disobeyed her fathers warnings about the dangers that were on the other side of the ocean , she went anyway because the ocean “chose” her. Sometimes you have to ignore the input of others even family when you know God has chosen and called you to be world shakers and be an instrument of hope to people who don’t have any. The ocean protected Moana as she encountered demons and danger along the way to her mission. This is the same way God protects us from danger and evil when we are tossed in the midst of unknown scary territory. “God is faithful, He will keep us from all evil”. (2 Thessalonians 3:3). There are so many people in different parts of the world that have never heard the gospel. They don’t know there is hope or another life option available to them. It is our mission as believers to reach these people and bring them the good news of Jesus. I know I write to two different groups of people: believers and non believers. My mission through this blog is to encourage believers and share Jesus to non believers. We can’t live in fear. “God has not given us a Spirit of fear, but of power, love and a sound mind”. (2 Timothy 1:7). I went to Great Wolf Lodge in The Pocono’s in February. It is an indoor water park and has tons of other activities for adults and children. I was afraid of going on the water slides because it “looked” scary. I decided to conquer those fears and I got on the rides not once, not twice but three times. Point. Fear is not real. It will keep you from everything awesome God had in mind when He created you. I want everything God said is mine! You should have that same attitude. Your greatest fear should be existing instead of living. It starts with a decision! A decision to break from routine. You can break the cycle of dysfunction that runs in your family. When you accept Jesus as your personal Lord and Savior you are given new DNA. You are joint heir to His throne. You are the son/daughter of a King. When looking at royal families here on Earth, how much honor and respect do they have because of their money and social status. You are the son/daughter of the Ruler of this Universe. How much more swag should you have? You need to walk into each new day with your head high and shoulders squared because of the confidence that you are seated with God in royalty. It all begins with a decision to forsake all sin and surrender your life to Jesus. In order to embrace the life God has for you, you have to throw up the deuces to all the baggage, dysfunction, toxic relationships, and stress. There is so much more on the opposite side of your obedience. I mean take a look at your life, are you happy? Do you often find yourself saying “There has to be more”. There is more. Don’t ignore that still small voice on the inside of you telling you there is more to your life. You are bigger than your circumstance. You are stronger than your brokenness. But you won’t get there continuing to live life the way you want or holding on to your past. Let it go! How far has doing things your way gotten you? I’ll wait. We cannot understand behavior unless we understand thoughts behind the behavior. Your thoughts turn into actions so the first step is changing how you think, change your mindset. Will you step out on faith? The children of Israel watched God provide, feed them and lead them from Egypt through the Wilderness and right when they were at the edge of entering the Promised Land fear gripped them. What will you allow fear to prevent you from? Or will you abort the process before God finishes a work in you? God is unchanging just like in the days of Moses He will make a way and lead you into your Promised Land. (See Numbers). It will be a different Promised land because each person is assigned a unique purpose but none the less it will be a land flowing with milk and honey. Every jagged edge in your life serves a purpose meaning every issue you have faced has brought you here to such a time as this. 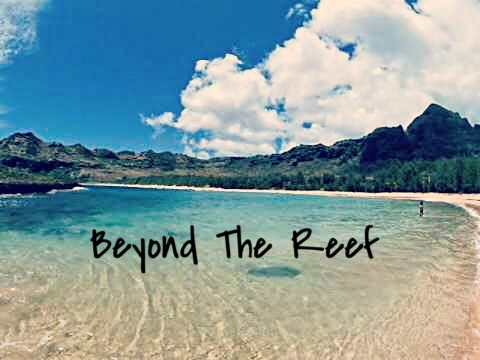 Its time for you to stop playing it safe and go “Beyond The Reef” where a beautiful God ordained purpose awaits. You don’t need connections and you don’t need to “know people”. All you need is God. He will network, He will bring connections and He will create a way. He is God! In the meantime, spend time in prayer and prepare for what you are praying for. God is raising a new group of Christians. We won’t have the big hats and long skirts LOL. But He is raising people who can influence and impact this world. He is raising DOPE believers. People like myself who can speak from experience because they have lived it and don’t just pull scriptures from the Bible to influence people but use real life situations to spread the gospel. I believe God is raising powerhouses from this generation to impact this world. Will He find you? Will you answer His call? 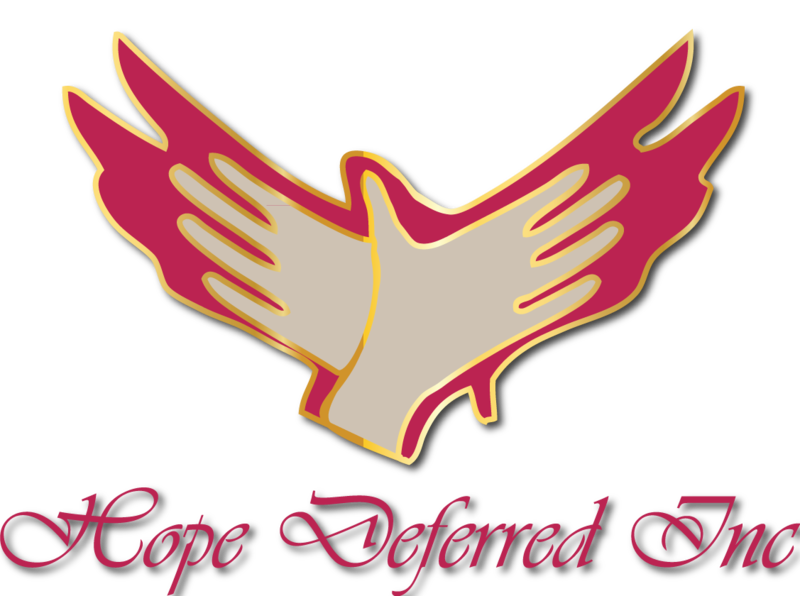 My mission through this non -profit organization and blog is to empower people across the world to live life to the fullest potential through the redeeming love of God. You are so valuable in God’s eyes. Every single day that you live beneath your potential, you are doing the Cross an injustice.